How to Use Vine Vera is scheduled to host an article titled “Hosting a Wine Tasting Party”. Wine tastings usually make us think of fancy wine bars and luxury hotels, but there is no reason why you can’t throw the perfect wine tasting party at home. All you need is to plan and shop right, and you should be able to transform wine tasting into an easy and exciting home event. 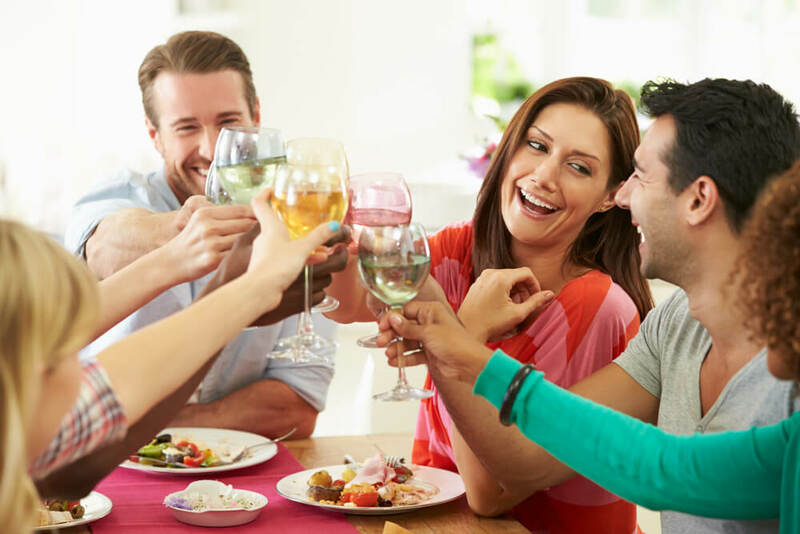 Vine Vera reviews the best tips that help you host a perfect wine tasting party at home. Resveralife shall be entertaining you with a Live Well Guide that showcases the “Best Champagnes for Celebrations”. Champagne isn’t called the king of sparkling wines for no reason. It adds a sense of glamor to any occasion and can truly transform your party. Whether it’s a graduation party, a spring get-together or a major anniversary, there’s always a champagne to suit your wallet and your palate. This Resveralife Live Well Guide reviews the best champagnes for all sorts of celebrations. Vine Vera Cosmetics is all set to publish an article titled “Crushed Pearl – New Beauty Must Have?” All that glitters may not be gold, but the sophisticated radiance that crushed pearls offer to beauty products is something that very few women can say no to. Unlike the machine-made glitter, crushed pearls have a way of reflecting light which makes it appear as if the glow originates from your skin. Vine Vera reviews crushed pearls as the new must have and highlights its importance in the world of beauty. Vine Vera WordPress is very excited about “Fashion How To: What to Wear While Entertaining”. As the spring season gives way to the summer months, we suddenly realize that it’s time to entertain our friends and neighbors at home. We want to look our stylish best, but the kind of work and planning that hosting a party involves means that there’s just no time to think about outfit ideas. Vine Vera brings you an exciting guide that lets you pull together the perfect outfit. So leave the outfit planning to us while you concentrate on getting the other aspects of your party right. Last but not the least, Vine Vera Stores is back for yet another week of travel insights with “Amazing European Destinations You Haven’t Thought of Visiting”. With the holiday season just around the corner, now might be the perfect time for that long awaited Euro trip. But instead of visiting the same old places that the whole world goes to, how about adding some off-the-beaten-track destinations in your itinerary? Vine Vera reviews the most amazing destinations that are equally beautiful and exciting, but far less crowded and much more unique in this article.